A while back, when I was a full-time working gal at a startup nonprofit, my boss encouraged me to read a book that he loved: Leaving Microsoft to Change the World by John Wood. * It is the true story of a former Microsoft executive who left the corporate world behind to change the world, one library and donated book at a time. Inspired by his travels to third world countries and burnt out from the 9 to 5 grind, he started a nonprofit called Room to Read that does just that: builds libraries from the ground up in some of the world's poorest communities. The experience, cooperation, and resulting educational resource changes these villages forever. So what does this have to do with Arrows Sent Forth? I'm one of the many travel blogs supporting a program called Passports with Purpose, where we encourage donations with the ultimate goal of building two Room to Read libraries in Zambia. I participated in Passports with Purpose in 2010 also, and well over $50,000 was raised to build a village in India. A $1,000 voucher to HomeAway: I'm a lover of rental properties when traveling, and I've used HomeAway many times. I also won a trip to Boston through a blogging contest they sponsored. It's a very reputable company with properties in just about every vacation spot you can imagine. Buckeye Lodging Package for Two: a 2-night stay at any Ohio State Park Lodge, including breakfast, dinner and gift shop credit. I've stayed at several Indiana State Park Inns and have always enjoyed that experience. I'd love to explore my neighbor to the east just a bit more with this prize. 2-Night Stay at the Affinia Hotel Manhattan: I really want to take my kids to New York, it's my favorite American city. But the cost of overnight lodging has kept us from booking a trip. Problem solved if we were to win this! 3-Night Stay for a Family of 4 at Beaches in Jamaica: I went to Jamaica on my honeymoon and would love to return with the whole family. Click here to see the full list of Passports with Purpose prizes. A much younger Big Arrow plays at our local library. I'm a lover of libraries. 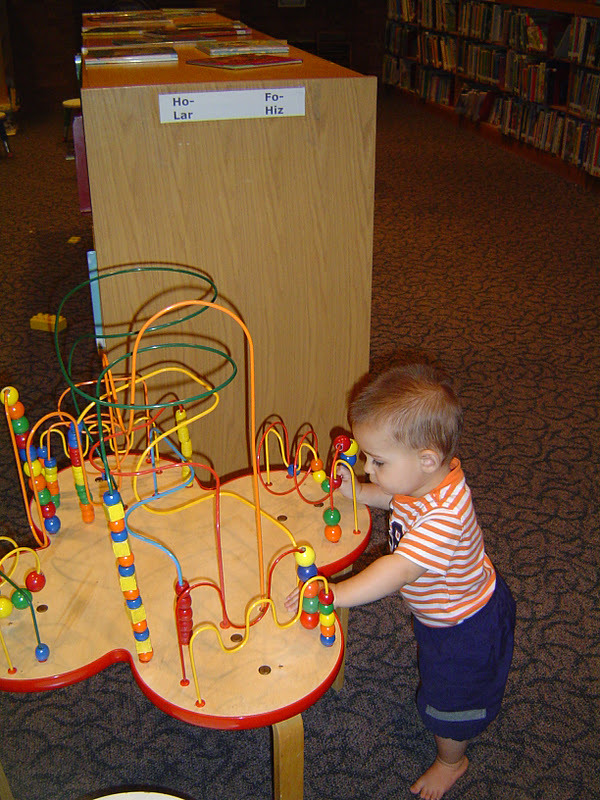 Big Arrow and I visit our local library just about every week. He loves story hour and devours the books we bring home with us. I can't wait to introduce Little Arrow to such an amazing place. I can't imagine a world without libraries and books, but for so many people around the world, something as simple as a shelf of books is an inaccessible luxury. By supporting Passports with Purpose, you can do your part to change that for two communities in Zambia. You must donate by December 16 in order to be entered into the prize drawings! *Links to my Amazon Affiliate account. A small portion of any sales made through this link will come back to support this blog, but this does not in any way increase the cost of purchase for you.